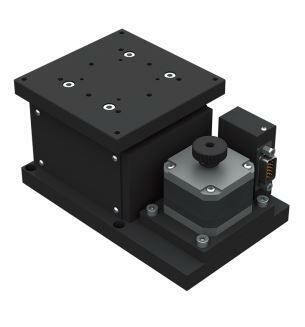 Motorized Single-axis Linear Positioning Stage, stage size is 90x90 mm, travel stroke is 20 deg. 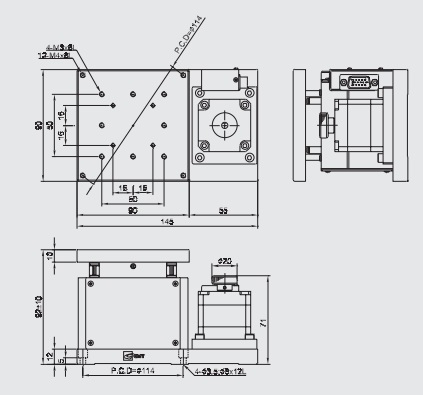 mm, load capacity is 5 Kgf. The Range of Travel is 20 mm.